In the midst of constant change? It’s just the way today, and no one will tell you it’s easy. Not easy on employees, who need to stay focused, productive, motivated. Not easy on the leaders, responsible for maintaining a culture where people want to work — and are able to do their best work. If you are embarking on culture change work, it may be helpful to consider the barriers experienced by professionals who take this journey. This infographic spotlights strategies proven to minimize these barriers, or even eliminate them entirely. This step-by-step playbook offers a best practice framework for tackling culture change within your organization and achieving lasting results. 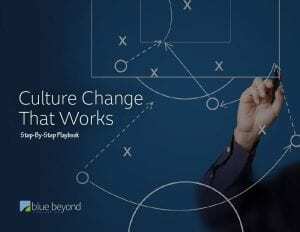 Need support with culture change in your organization?